You’ve got your top-notch gear. You’ve got your green. You’ve got the right season. There are many professional golfers out there to keep your eye on. It can be difficult to narrow the field at times. That’s where we come in. Check out these nine best golfers you should definitely consider following in 2017. This 37-year-old Spaniard is rising slowly but surely as one of the best golfers to seriously watch this year. On May 11, 2017, Garcia achieved the extremely rare hole-in-one at the 17th hole of the Players Championship at TPC Sawgrass. He has won over thirty international tournaments, including the 2017 Master’s Championship. He claimed a second victory at the 2016 AT&T Byron Nelson and has earned the title of PGA TOUR champion nine times. Why should you watch out for Garcia? His steady accumulation of wins and ability to pull himself out of no-victory periods indicates a golfer keen on the green, with no sign of hitting a plateau any time soon. Called “Golf’s equivalent of Chopin,” Mcllroy claimed the 2016 FedEx Cup and is presently ranked number two in the Official World Golf Ranking. This alone is reason to rank Mcllroy as one of the top best golfers to follow in 2017. Mcllroy has won nine international tournaments and been declared victor of nine PGA TOUR tournaments. He has 58 top-ten finishes, 5 third-place, and 2 second-place. Keep your eyes on Mcllroy because this star golfer from Northern Ireland is only twenty-seven years old. His ability to dominate is only likely to increase. Johnson currently holds the first title in the Official World Golf Ranking and has claimed the PGA TOUR title an amazing fifteen times. This top dog has curiously never been able to finish in the top 25 of The Players Championship. Nonetheless, Johnson remains high up there in the eyes of the public as one of the best golfers of 2017. This 32-year-old American golfer has claimed seventy-five top ten finishes. He is the champion of the 2017 Genesis Open, the Dell Technologies Match Play, and World Golf Championships Mexico Championship. Johnson has additionally received the Byron Nelson Award, Arnold Palmer Award, and Jack Nicklaus Award. Matsuyama is coming off of a victorious 2016 fall season, having won the World Golf Championships HSBC Championship and two Japan Golf Tour events. He is also victor of the Hero World Challenge and is a four-time PGA TOUR champion, making him one of the best golfers in 2017. At twenty-four, Matsuyama is rising from amateur star to elite status, having won the Asian Amateur Championship twice early in his career. 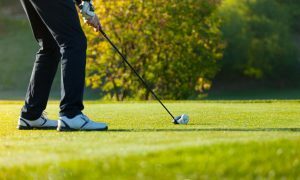 This left-handed American golfer has claimed nine PGA TOUR titles and multiple victories at same events, including the Masters and Travelers Championships. At thirty-eight, Watson is currently ranked number twenty-six in the Official World Golf Ranking. Watson is active on social media and is exciting to follow. He also is known for giving away lots of gear to fans. When he won the 2016 Open Championship at Royal Troon, Stenson became the first Swedish male to do so. Stenson has won thirteen international tournaments and is a five-time PGA TOUR victor. He has appeared in the FedEx Cup five times and claimed the title once. He is currently at the 18th ranking in the FedEx Cup Standings for this season, and ranks at number seven in the Official World Golf Ranking: one of the top ten best golfers in the world. This forty-year-old Swedish professional golfer also has an Olympic Silver Medal on his resume, which sets him apart from the other best golfers out there. He is known for his character and ball striking ability. Consider following him on Twitter. This 28 year-old American golfer started his career with a bang, ranked as the top amateur golfer for thirty-seven weeks in 2007 and 2008. He recently scored a hole-in-one of the difficult 17th hole at TPC Sawgrass. Fowler is number nine in the Official World Golf Ranking and number 8 in the FedEx Cup Ranking. He is a four-time PGA TOUR winner and champion of three international tournaments. He placed first this year in the Honda Classic Championship. Fowler is entertaining to follow on Twitter and has started off his 2016-2017 season with strength. This South African professional golfer claimed a gold medal in the Rio Olympics this season, reason enough for fans to follow him in the coming seasons. The thirty-six year old has made the FedEx Cup Playoffs ten times. He is a seven-time PGA TOUR victor and winner of nine international tournaments. Rose also has seventy-six top ten finishes on his record, out of 296 total events played. He placed second in both the recent 2017 Master’s Championship and the Sony Open in Hawaii. Although he recently lost the Master’s Championship, Rose is not disheartened. He does have that shiny piece of gold from Rio, a number five FedEx Cup ranking, and an already victory-studded career, which distinguishes him as one of the best golfers of 2017. He also uses lots of emojis in his social media statuses. This popular American professional golfer should be on everyone’s radar in 2017. He is known for participating in multiple tournaments per season and bringing a tough, enthusiastic presence to these events. Reed currently boasts a number fifteen Ranking in the Official World Golf Ranking. At the Summer Olympics, he tied for eleventh place. Reed has claimed five PGA TOUR titles. He placed first in the 2014 WGC-Cadillac Championship. This highly competitive 26 year-old is often referred to as “Captain America.” His intensity of play will likely keep fans hooked in the coming seasons. The Official World Golf Ranking strives to put a number on professional talent. Get a good grasp of current scores and rankings of the best golfers at OWGR. The same goes for the Fedex Cup Rankings. Keep up to date on players’ news, current tournaments and championships, and victories via a reliable news source. Follow these best golfers on Twitter or Facebook. Show your fan face and collect some swag! Read up on your technique. Update your gear. Match your idol’s with the best of the best equipment for the green. Goodluck!